The Spanish government has shown to the entire world that it denies human rights and has absolutely no democratic principles whatsoever. The next step is for the pretend elected government to declare a perpetual state of emergency and suspend all elections nationwide to complete what is rapidly becoming a dictatorship. Thousands in Catalonia have now risen up in protest against the Spanish government once again as they arrested the five leaders of the independence movement. 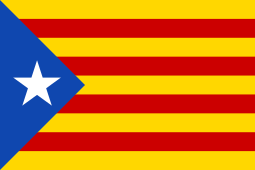 The mood in Catalonia is turning more anti-Madrid and based upon the emails we are getting from Spain, many are now beginning to see that how the Spanish government is treating those in Catalonia means that the government views them as well as having no rights. Clashes with police are being reported with at least 24 demonstrators injured, according to rescue workers. Independent journalists are reporting that policemen in Barcelona were using batons against demonstrators approaching the regional government building. Some demonstrators in Barcelona were even burning pictures of King Felipe VI, which is a crime in Spain. They were also burning photographs of judge Pablo Llarena, who ordered the arrests. The protesters waved Catalan flags and shouted “freedom for political prisoners”. Spain refuses to respect human rights and Brussels has refused to defend the people because they too seek a dictatorship. The irony here is they have the guts to point the finger at Putin and China as suppressing democracy?